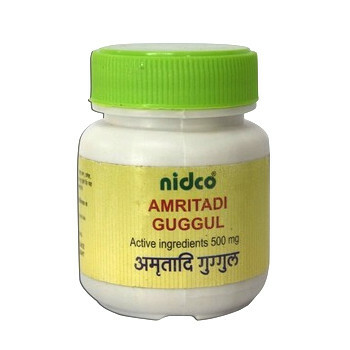 Amrita Guggul (Amritadi Guggul or Amruta Guggul) is a medicine for the treatment of inflammatory processes associated with the imbalance of Vata dosha. This medicine is used to treat arthritis (including rheumatoid), gout, inflammation of the urinary tract. 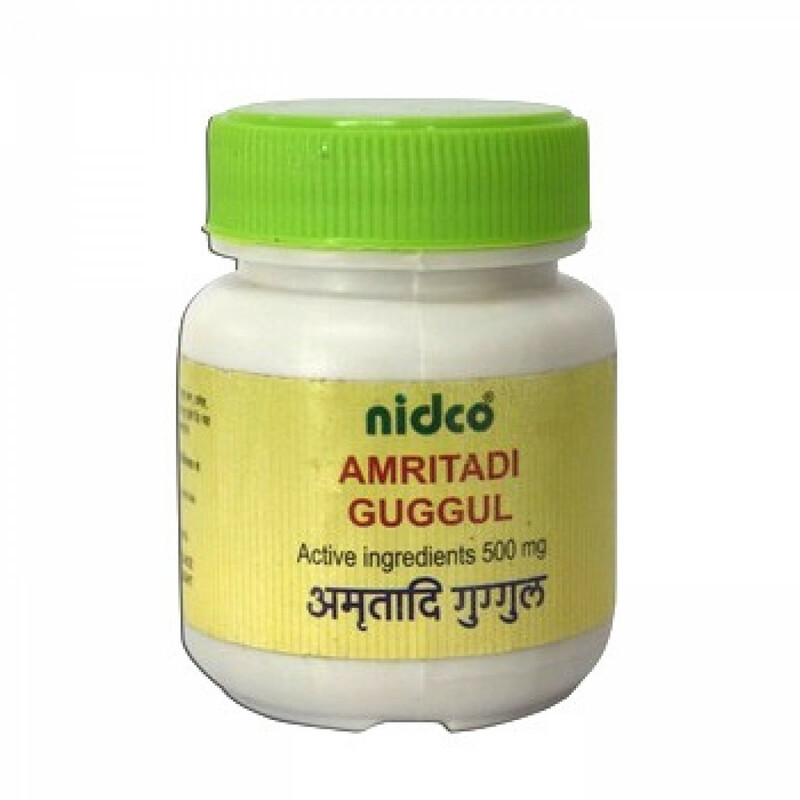 Additionally, Amrita Guggul is a good immunomodulator, is shown with weak digestion. Amrita guggul has blood-purifying properties and is used to treat skin diseases. Also, this medicine is used to treat hemorrhoids, abscesses, wounds. Indications: gout, arthritis, rheumatoid arthritis, cystitis, urethritis, weak digestion, low immunity, hemorrhoids, abscesses. Content: Guduchi, Guggulu, Triphala, Danti, Vyosha, Maricha, Pippali, Shunti, Vidanga, Tvacha, Trivrit. Dosage: 2 tablets 1-2 times a day or as directed by a doctor.